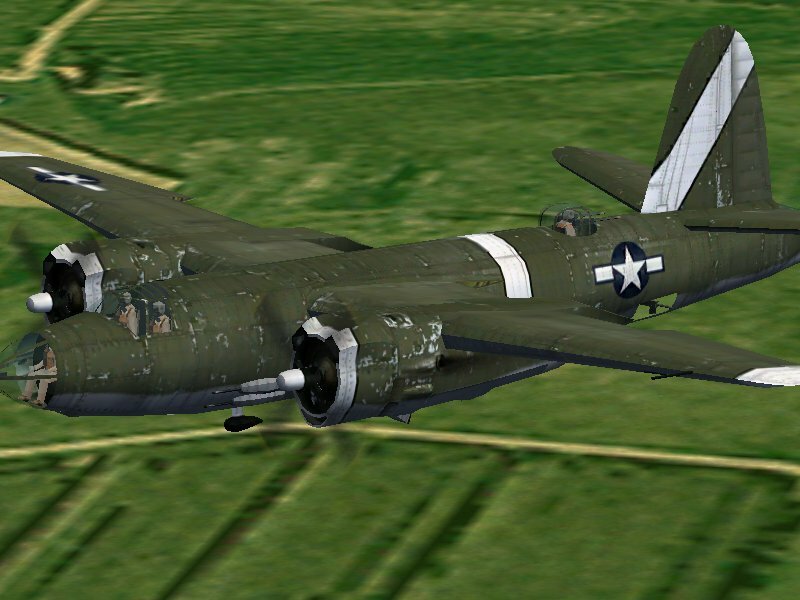 B-26C Marauder model released by Allen! Thread: B-26C Marauder model released by Allen! Description: Pulled from CFS3 and rebuilt for CFS2 with edits to tail gun to make B/C model. Has most animations with breaking parts and damage texture logics. Model is Multi LOD. Has olive drab and sliver texture. Not tested for AI take off, landing or strafing. Programmed to be level bomber! Dirty Deeds Done Dirt Cheap! Very nice Allen, thank you. Appreciate all your efforts. Took her for a spin, nice addition to the sim. Many thanks for this under-utilized aircraft for CFS2!